As Sears heads into bankruptcy, a northwest suburban school district is suing the retailer and the village of Hoffman Estates in hopes of recapturing property tax dollars it says were diverted to the retail giant in recent years, because it says layoffs at Sears invalidated a state economic development agreement. The Algonquin-based Community Unit School District 300, which serves 21,000 students in more than 30 schools, filed a complaint Oct. 10 in Cook County Circuit Court. 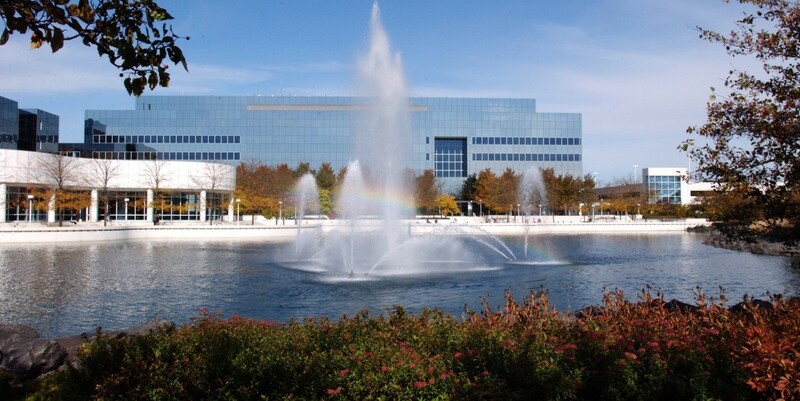 Sears built its corporate headquarters in Hoffman Estates — just inside District 300's southeastern boundary — in the wake of the 1989 Economic Development Area and Tax Increment Allocation Act that allowed it to recover significant portions of its property tax bill, ostensibly to offset development costs. According to the district, the 1990 agreement was structured to last 23 years, the maximum length allowed under the state law. As part of the deal, Sears was to meet minimum job levels and spur quantified private investment in the project area. But in 2011, as the deal neared expiration, “Sears again started scaring lawmakers with the possibility of large scale job losses in the area by threatening to move its headquarters out of Illinois” and sought new subsidies incorporated in state legislation. In 2012, the General Assembly extended the 1990 agreement and added provisions about subsidies for Sears and how such funds would be distributed. The extension required Sears to keep at least 4,250 full-time jobs at headquarters and in downtown Chicago in exchange for state income tax credits worth $15 million annually over a decade. The deal also extended the property credits for up to 15 years, or until Sears recovered $125 million. The complaint said things began to unravel in March 2017 when Sears submitted 2016 tax subsidy requests to the Illinois Department of Commerce through the Economic Development for a Growing Economy Tax Credit Act. District 300 said commerce officials noted Sears’ plans to lay off more than 100 people and asked the company to prove it was complying with EDGE requirements. Although Sears said it would meet staffing levels, the company acknowledged in a June 2017 Crain’s Chicago Business article it was no longer above the minimum to qualify for the state income tax credits. However, District 300 said, Sears real estate executive Jonathan Bredemeier sent a November 2017 letter to Hoffman Estates officials saying that at no time in 2017 was there fewer than 4,250 jobs, keeping it in line for the property tax credits. Following that were January 2018 reports the company eliminated another 220 corporate jobs. District officials said in July 2018 they asked Bredemeier to provide evidence showing the job levels exceeded the benchmark throughout 2017, but said no one from the company responded until an outside attorney, David Martin, sent a “terse letter” in late August stating the company isn’t obligated to provide such data. District 300 said Sears failed to meet staffing levels for at least 59 percent of 2017 and called for 59 percent of the annual subsidy to be forfeited and distributed proportionately to all relevant taxing districts. It also said 100 percent of 2018 subsidies should be similarly forfeited. According to the complaint, Hoffman Estates is a defendant in the matter because it gets tax revenue in a special fund under the Sears EDA pay the subsidies to the company, and the district wants a judge to forcibly halt all future disbursements. Representing the school district in the matter are Kory Atkinson, of Bloomingdale, and the Bolingbrook firm of Robbins, Schwartz, Nicholas, Lifton & Taylor Ltd.